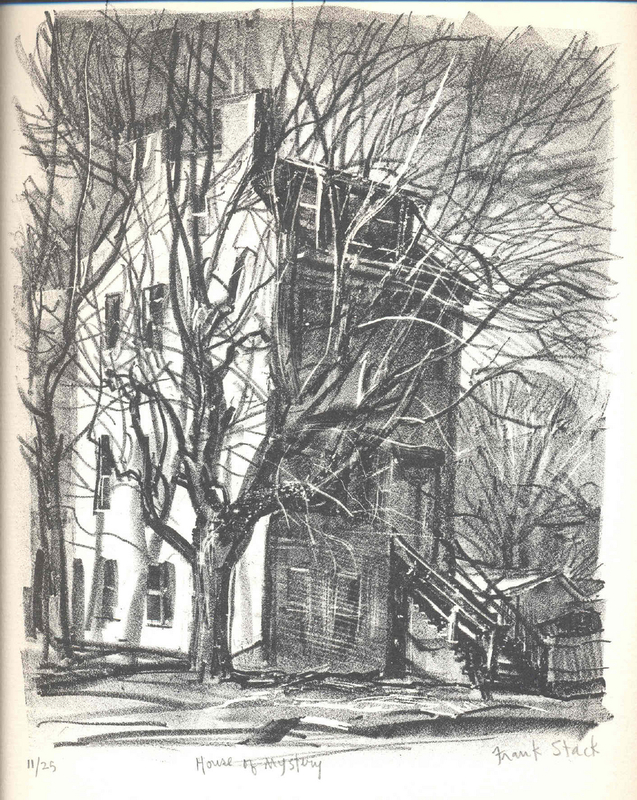 This original pencil-signed lithograph represents an old house partly obscured by a large tree. Entitled "House of Mystery" this print displays beautifully the artist's impressionistic technique, which captures the transient effects of light and atmosphere. This is the 11th impression from a limited edition of 25. Image size: 10" x 8", Sheet size: 15" x 11".